The Bow River fishery is recognized around the world for the quality of Brown and Rainbow Trout. The Bow River needs support from the angling community to assure a sustainable fishery not only for ourselves, but future generations. We are excited to launch a new organization for the fishing community that is totally committed to the Bow River fishery. Bow River Trout Foundation w as formed by a group of like-minded local fishermen who volunteered to give back to the world renowned Bow River for years of angling pleasure. 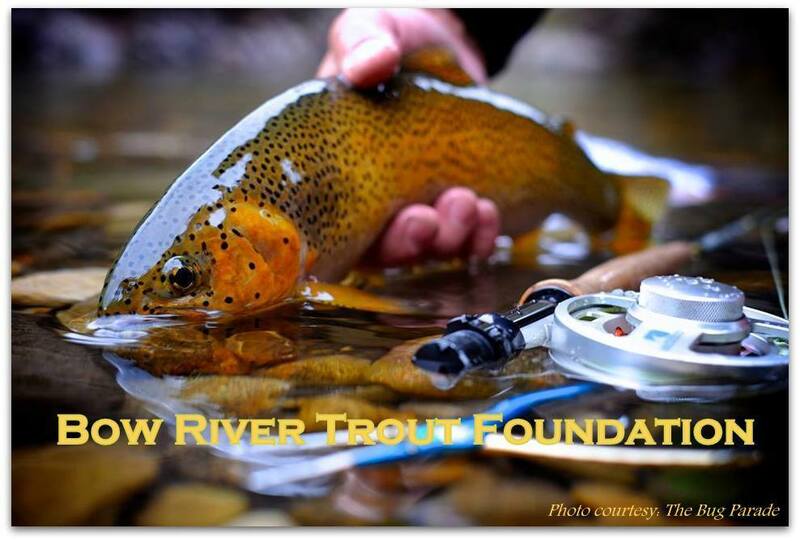 Bow River Trout Foundation is registered as a Not-for-Profit Alberta Society with a mandate to “Advocate and Support for the Bow River Fishery”. Our founding directors have developed 8 objectives that will serve to protect the interests of Bow River anglers and to sustain a viable fishery. Our primary focus is to support responsible use and enhancement of the fishery while assuring public access and protection of riparian habitat that benefits the Bow River ecosystem. Bow River Trout will advocate for the interest of the fishing community. Bow River Trout (BRT) has been an active participant in the stakeholder consultation with the Calgary River Access Strategy. Two new boat ramps will be commissioned within Calgary over the next two years.Ogden Bridge, downstream of Harvie Passage will be developed in 2017 followed by Inglewood in 2018. The City of Calgary has committed $7.6 million to new and enhanced river access over the next 5 years. BRT as a member of the Calgary River Users Alliance has been asked by the City of Calgary to financially support river access developments. BRT will contribute through our fundraising activities. Alberta Environment & Parks has started stakeholder consultation to improve river access outside of the City of Calgary. The Bow River Access Plan will be made public later in the spring. Membership will give you a voice in advocacy for the Bow River fishery, support new and improved river access within the Bow River basin and keep you updated on progress with initiatives through a quarterly newsletter. President, Bow River Trout Foundation.